Wavecrest Computing has once again been awarded a renewal for a GSA Contract. Our first award was in 2000, and now we are proud to be renewed all the way to 2021! Since 1996, Wavecrest Computing has been a global leader in employee Web-access security and Web-use monitoring and analytics solutions, with scalable filtering and reporting analysis, forensic data tools, and products designed to enable organizations with today’s distributed workforce to successfully address cyber threats. Wavecrest’s CyBlock and Cyfin solutions are built with today’s unique business in mind, offering comprehensive cloud services management and visibility into Shadow IT and insider threats, as well addressing legal liability, workforce productivity, and Web security threats such as malware and phishing attempts. We offer multiple deployments that include Cloud Access Security Broker (CASB), Cloud, Hybrid, Software, and Hardware deployments that fit any business type or size. Wavecrest Computing is headquartered in Melbourne, Florida, U.S.A.
For more information on the company, products, and partners, visit https://www.wavecrest.net or follow us on LinkedIn, Facebook, and Twitter. 20 Years Young and Excited About the Next 20! 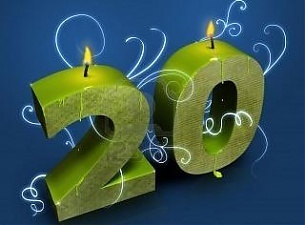 We are proud to announce that Wavecrest Computing has reached a pretty big milestone…its 20th anniversary! It has been a path we have happily taken with innovative products and a dedicated staff, many of which have been with us since the beginning. We would also like to thank you…our customers, partners, and followers for sharing this journey and challenging us to be constantly reaching for the stars…or the cloud, as the case may be! Here is to an exciting next 20 years where we will remain “at your side” securing your growing, distributed, and agile workforce. Since 1996, Wavecrest Computing has been a global leader in employee Web-access security and Web-use monitoring and analytics solutions, with scalable filtering and reporting analysis, forensic data tools, and products designed to enable organizations with today’s distributed workforce to successfully address cyber threats. Wavecrest’s CyBlock and Cyfin solutions are built with today’s unique business in mind, offering comprehensive cloud services management and visibility into Shadow IT and insider threats, as well addressing legal liability, workforce productivity, and Web security threats such as malware and phishing attempts. We offer multiple deployments that include Cloud Access Security Broker (CASB), Cloud, Hybrid, Software, and Hardware deployments that fit any business type or size. Wavecrest Computing is headquartered in Melbourne, Florida and is a longstanding GSA contract holder. 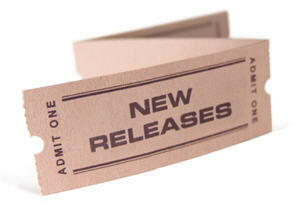 Posted in New Releases, Wave News, Wavecrest Computing | Comments Off on 20 Years Young and Excited About the Next 20! 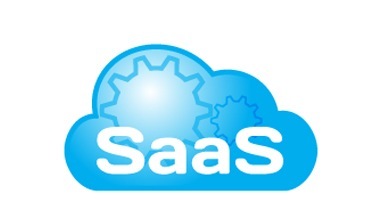 Forrester’s latest report says that the SaaS market will hit $131 billion by 2020. Are you ready to take advantage of the boom in the SaaS market? Have you thought about reselling cloud services? Or have you already started the transition into the managed service resale model? Wavecrest wants to help make this transition as simple and streamlined as possible. We will provide you with all the tools you need to succeed. You can start selling our cloud service immediately with minimal investment and no binding contract. Wavecrest understands the service model and the complexities behind selling SaaS solutions. Having a range of services that can be sold independently or in a bundle is key to generating a stable and recurring source of revenue. Web Security as a service is integral to any MSP’s offerings. That is why we have streamlined our ordering and licensing process. Furthermore, we have developed a simple to manage and provision service to ensure you maintain your profit margins! Wavecrest Computing’s industry leading Web security solution, CyBlock, is a mature, robust and feature rich solution. CyBlock is now available as a cloud-based security service (SaaS) solution. CyBlock Web Security services will protect your clients against Web based threats, lost productivity and mitigate legal issues associated with employee Web use. CyBlock Web Security service also provides bandwidth management. This critical feature enables you to provide your clients with the highest quality of Service (QoS) by ensuring speed and reliability of mission-critical Web activity. Let Wavecrest show you how selling the SaaS Web Access Security CyBlock Cloud will have a rapid and positive impact on your MSP business! Find out more detail on our MSP partner page or send us your information on our partner form and we will contact you! Posted in Bandwidth Issues, Control Internet Access, CyBlock Cloud, Industry News, Productivity Concerns, Security Threats, Wave News, Wavecrest Computing | Comments Off on Forrester’s latest report says that the SaaS market will hit $131 billion by 2020. 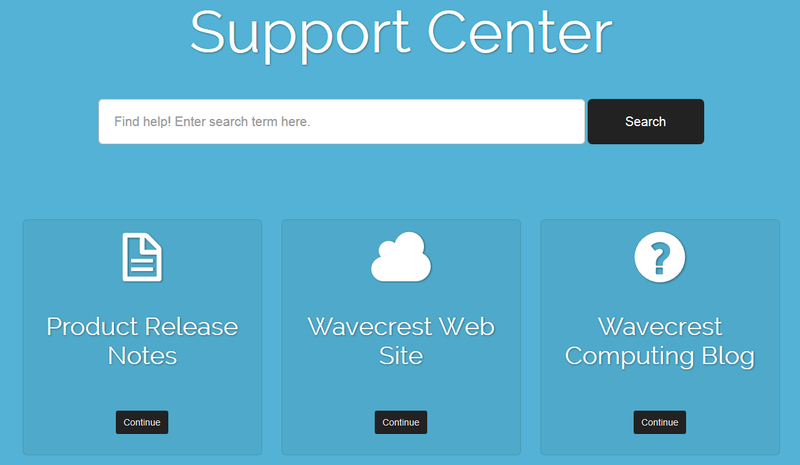 Wavecrest is excited to unveil our new product knowledge base. This new knowledge base will provide immediate, 24/7 support to our global customer base. Customers will be able to quickly find the answers they are looking for. The knowledge base comes with an enhanced search tool that shows relevant results as you type, dramatically reducing the resolution time. Our top-rated technical support staff will be continuously updating the knowledge base. Wavecrest’s technical support staff is committed to providing customers with the best possible product experience. This commitment to quality will ensure the knowledge base will always yield the highest quality results for our customers. Through the knowledge base, customers will also be able to access detailed product release notes, tech tips, and the Wavecrest blog. 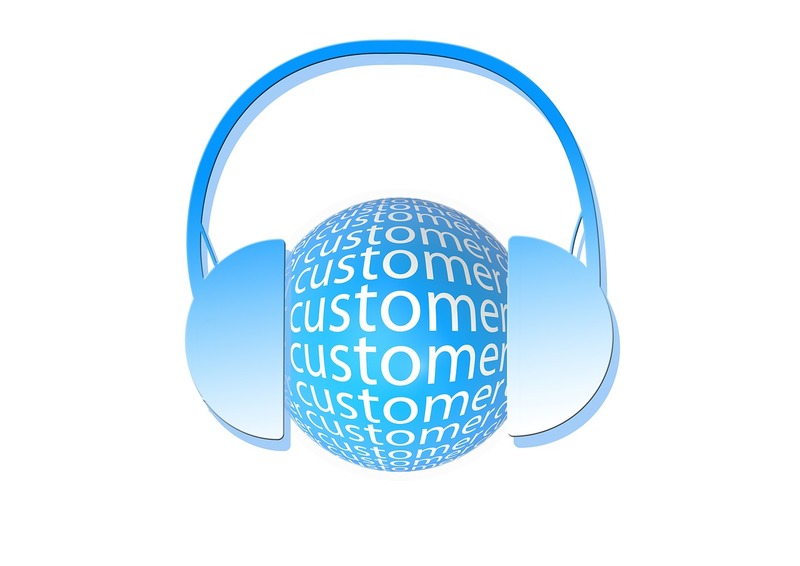 Wavecrest is always striving to provide continuously improved, higher level customer support. We furnish our customers with more than just a ‘product’, we provide them with a long-term ‘package’ that combines a cost-effective product with free support services whose priority is equal to that of product design. These services are available during the free product evaluation period and remains throughout the product license term. Posted in CyBlock, CyBlock Appliance, CyBlock Cloud, CyBlock ISA TMG, CyBlock Software, Cyfin, Product Updates, Tech Tips, technical support, Wave News, Wavecrest Computing | Comments Off on Wavecrest is excited to unveil our new product knowledge base. 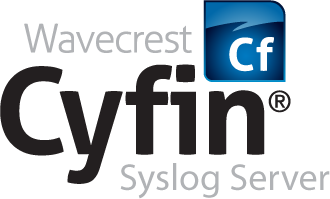 Melbourne, FL, Dec. 9, 2013 (GLOBE NEWSWIRE) — Wavecrest Computing, the makers of CyBlock, have just announced the availability of a Cloud version of CyBlock. Now companies have access to the most popular and solid Web Security solution in the Cloud. CyBlock Cloud Web Security is an easy-to-implement solution that benefits organizations of all sizes and quickly safeguards your network. Whether you have branch offices, remote users, or just one location, CyBlock Cloud protects your company and its employees allowing you to take advantage of time and money savings. Enforce your company’s AUP by defining one or more Web-use policies to successfully address Internet abuse, legal liability, workforce productivity, and Web security threats. Wavecrest Computing has been the recognized leader in Web-access security and Web-usage forensics solutions for the last 16 years. Our scalable filtering and forensic reporting analysis products are designed to enable organizations to successfully address Internet abuse, legal liability, workforce productivity, and Web security threats. Wavecrest Computing’s client list includes well-known corporations such as Edward Jones, General Electric, Lockheed Martin, Blue Cross Blue Shield, MillerCoors, Rolex, Siemens, and others. Using CyBlock Software or CyBlock Appliance, a secure Web site (https://domain) can be blocked by blocking the corresponding category, explicit URL, or custom category in which the URL has been added. If the secure site contains a path (https://domain/path), the URL match is made on only the domain portion by default. SSL Inspection has to be turned on with the associated blocked category set to be inspected in order to match on the domain and path portions combined. However, the following issue may be encountered with the browser for a secure site (https://domain). When a user attempts to connect to a blocked secure site through CyBlock Software or CyBlock Appliance, the browser is only capable of receiving a Connection Established header response. Any other response, including a blocking message, is treated as a failed connection, and contents embedded in the response are not rendered due to security constraints. Therefore, in order to display the blocking message when a user is connecting to a blocked secure site, the proxy must first send a Connection Established header which will require an SSL certificate to be accepted by the browser. This certificate is generated using the Wavecrest root certificate. If the Wavecrest root certificate is not already installed in the browser, a certificate warning message will be issued that must be accepted in order to display the blocking message. Please see the Wavecrest Certificate Installation Guide for instructions on how to install and distribute the Wavecrest root certificate and prevent the certificate warning message for your users. If you do not accept the certificate when you receive the warning message, just a blank page will be rendered in the browser with a generic browser error message. You are currently browsing the archives for the Wavecrest Computing category.